Eric Ambler is considered one of the masters of the thriller novel involving international intrigue and espionage. Of the six novels he wrote before World War II, four have been adjudged outstanding examples of the genre. In the 1950s he was more active as a screenwriter than as a novelist. He wrote the screenplays for The Magic Box (1952), The Promoter (1952), Shoot First (1953), The Cruel Sea (1953), nominated for an Academy Award, Lease of Life (1955), The Purple Plain (1955), Battle Hell (1957), and A Night to Remember (1958). In fiction he produced The Schirmer Inheritance (1953) and State of Siege (1956), generally considered his best postwar novel. The novel follows the story of an engineer in Sunda, an emerging nation between the Dutch East Indies and Malaysia, who is caught up in a coup d'etat that fails (as it is supposed to fail). 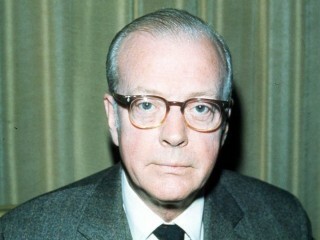 View the full website biography of Eric Ambler.